Are you in a salad rut? I tend to get in a salad rut, putting together the same (for the most part) ingredients over and over. 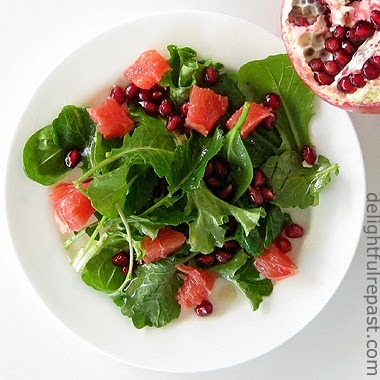 Then one day I realized two of my favorite fruits, grapefruit and pomegranate, were in season and decided to team them up with a new-to-me salad green, baby kale. The regular "adult" kale is perfectly wonderful, and what I always buy, but I thought Baby kale, okay, I'll bite. 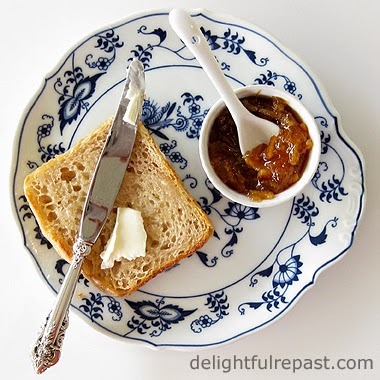 This is so simple, a very short recipe. The three simple ingredients mingle their contrasting colors, tastes and textures in the bowl with a splash of good olive oil cut with the juice captured when dicing the grapefruit. Like my Chard and Kale Winter Salad, it can be made--and dressed--ahead, so it's the perfect salad to take to potlucks. The baby kale might be closer to lettuce than "adult" kale is, but it won't wilt like lettuce when dressed ahead of time. 1 Wash the baby kale and spin it dry. Even though the container it comes in will tell you it's been washed three times and is ready to use, wash it. Put it in a bowl. 2 Wash the grapefruit. Even though you're not going to eat the peel, wash it. Cut off the top and bottom. Following the curve of the fruit, cut off the peel and pith. Cut the peeled grapefruit into rings and then into bite-size pieces. Do this on a plate rather than a cutting board so you can capture all the juice. Add the grapefruit pieces to the kale in the bowl. Pour the juice into a glass measuring cup. 3 Wash the pomegranate (even though you are most definitely not going to eat the peel). Open the pomegranate and remove all the arils. Do this carefully so the red juice doesn't fly everywhere and stain everything in sight. Add to the salad bowl. 4 Whisk some extra virgin olive oil into the grapefruit juice. Taste it. I like it just the way it is, but you might want to add about 1/8 teaspoon each salt and coarsely ground black pepper or whatever you like. Pour it over the salad and toss it around a little. Put a lid on it and refrigerate until dinner time. 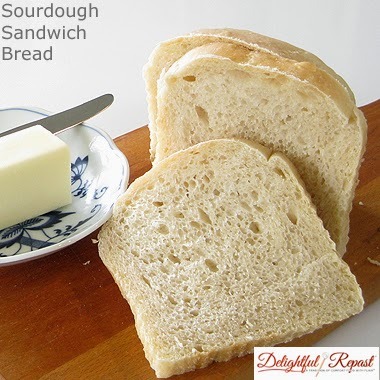 This sourdough sandwich bread is a classic sourdough bread, meaning it is made without the addition of commercial yeast. 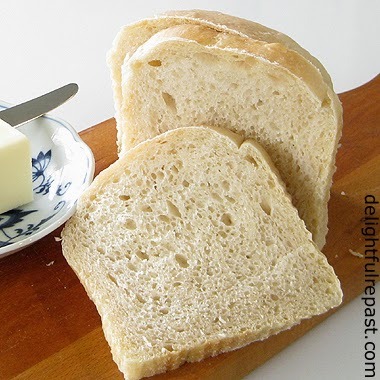 Baked in a loaf pan, it has the chewy texture of an artisan loaf but in a shape handy to slice for sandwiches or toast. Ohhh, the toast! You don't need a heavy-duty stand mixer or strong arms for kneading. 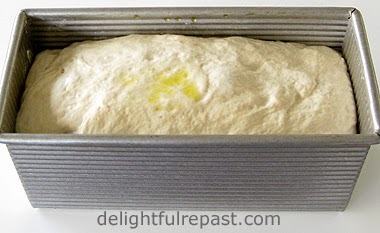 You don't need a pizza stone or a cast-iron Dutch oven, just a 9x5x3-inch loaf pan; I use this equivalent 9x4x4-inch pullman loaf pan (without its lid). 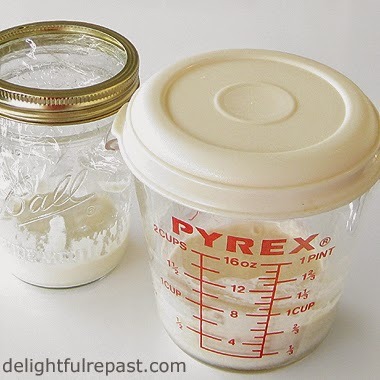 Here's How to Make Your Own Sourdough Starter soon. It's really simple. All it takes is unbleached all-purpose flour (preferably organic), filtered or bottled water (not distilled or chlorinated tap) and lots of patience. Sourdough without added yeast is definitely as much art as science, so prepare to adjust to its timetable; it's not going to adjust to yours! It can take as long as 34 to 42 hours, but that's mostly time it's sitting around doing its thing while you're going about your business. 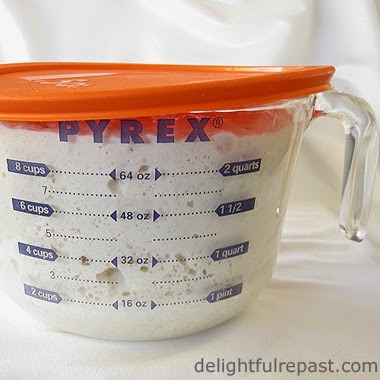 1 Feed up your starter to 1 1/2 cups: Take 2 tablespoons starter out of refrigerated storage container. Put it in a 2-cup glass measure (It actually holds 3 cups, so shouldn't overflow when it doubles). Stir in 1/3 cup flour and 1/4 cup water. Stir vigorously, cover loosely and let stand at room temperature for 8 or 12 hours. Tip: See schedule below to plan your bake. 3 Stir down fed starter and measure 1 1/2 cups of of it into 2-quart glass measure. With a dough whisk or large spoon, stir in water, salt and 1 cup flour. When all the flour is incorporated, stir in 1 1/2 cups of flour a half cup at a time. Stir until dough just comes together into a shaggy dough (fairly stiff, but still sticky). With one hand, knead dough right in the bowl, just enough to incorporate all the flour, about 20 times in all. Cover loosely with oiled plastic wrap or lid and let stand at room temperature overnight. Tip: Any leftover fed starter can be added to your stored starter in the refrigerator (Stir it vigorously and let stand at room temperature for a few hours; this feeds the starter for the week) or just kept on the counter if you're making more bread in a day or two. 4 Grease bread pan. I use a 9x4x4-inch (1.5-pound) pullman pan (without its lid). It's about the same capacity as a 9x5x3-inch loaf pan. 5 Using no more than 1/8 cup altogether, sprinkle countertop with some flour. 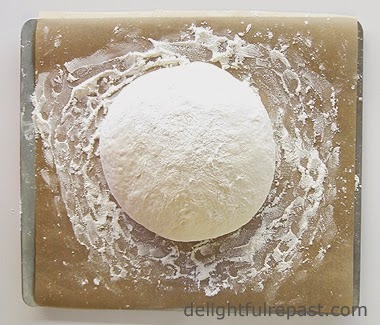 Gently scrape the dough onto the floured countertop. Sprinkle with flour. Press gently into a roughly 12-by-8-inch rectangle. Using a bench scraper, fold one third of the rectangle toward the center, then fold the other end to the center, like a letter. With the bench scraper, place folded dough in the pan, pressing it into the corners. Brush on a little water. Cover it loosely with an oiled or cooking-sprayed piece of plastic wrap. 6 Let rise until doubled. If using 9x5x3-inch loaf pan, it should rise an inch or two above the rim of the pan. 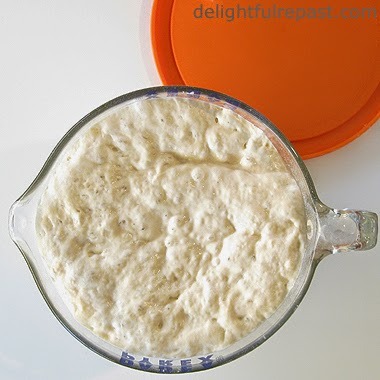 If using 9x4x4 pullman pan without its lid, the dough should rise to below or just even with the top of pan. This can take anywhere from 3 to 5 hours. The dough needs to rise until the dough doesn't quickly spring back when poked with a floured finger or knuckle. 7 Toward the end of the rising time, preheat oven to 450 degrees. Just before baking, brush the loaf with a little water. 8 Bake at 450 degrees for 10 minutes. Reduce heat to 400 degrees and continue baking for about 30 minutes or until crust is beautifully golden and middle of loaf registers 210 degrees on instant-read thermometer. Tip: For reasons I won't go into (something about lactobacilli and yeast and ...), sourdough bread sometimes doesn't brown as well as other breads. If you're into the well-browned crust, take the loaf from the oven about 5 minutes early and brush the top with a little olive oil and put it back in. 9 Remove from pan and let cool on wire rack for 1 1/2 hours before slicing. I've been cooking way too much lately. I needed a break, but I also needed a dessert. Something quick and easy, but "from scratch." So I'm going retro, baby! With Magical Coconut Pie. 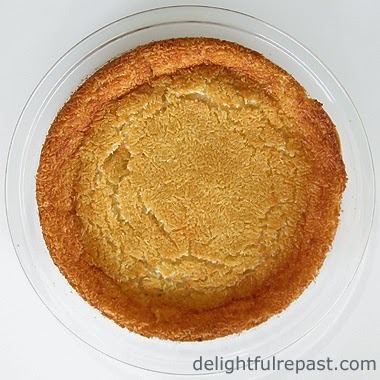 Anyone who grew up, or cooked, in the 1970s might remember Impossible Pies, so called because they formed their own crust (not really) while baking. They were made with Bisquick, which we never had in our house because my mother never used mixes of any kind. I still don't. So when I had some extra organic coconut on my hands and decided to whip one of these up, I needed to come up with a formula that did not contain the popular baking mix. No offense to the Bisquick people, but until they come up with an organic "whole" version, I'll just do my own thing. We were out of regular milk, so I used rice milk with a little heavy cream mixed in for a better approximation of milk. I seem to recall people used to mix up their Impossible Pies in a blender, but I go low-tech whenever possible so just used a whisk. This "pie" puffs way up while it's cooking and then shrinks down as it cools. If I wanted to end up with larger pieces, I would increase the quantities; but I like having it end up about 8 inches in diameter for daintier serving sizes. What is your favorite quick and easy from-scratch dessert to make when you just don't have the time or energy to get too carried away? 1 Preheat oven to 350F/180C/Gas4. Spray a 9-inch glass pie plate with cooking spray. 2 In medium bowl, whisk together sugar, flour, salt, baking powder and coconut. Add eggs, butter, milk and vanilla; whisk until thoroughly combined (I whisked vigorously for about 30 seconds). 3 Pour into prepared pie plate. Bake about 45 to 50 minutes, until golden brown and set. A little wobble is fine; it will firm up as it cools. 4 Let cool to room temperature before cutting and serving or refrigerating. 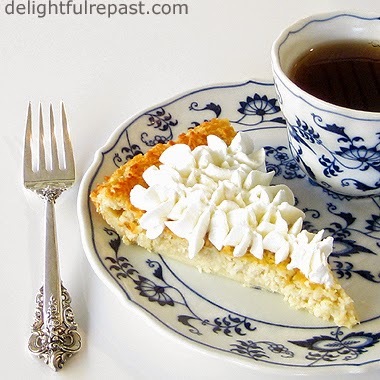 Serve with some barely sweetened whipped cream.